Why Become a Pet First Aid Instructor? If a dog was hit by a car or a curious kitten began choking on a strand of string would you know what to do? Would you like to know what to do and be able to share that knowledge with others? Knowing what to do in the minutes following a pet emergency could save a pet’s life and being that person who teaches pet life-saving information would be amazing. People rarely think about pet emergencies but always want to be prepared. Knowing what to do not only reduces the stress for the pet, it can also help save on veterinary bills. 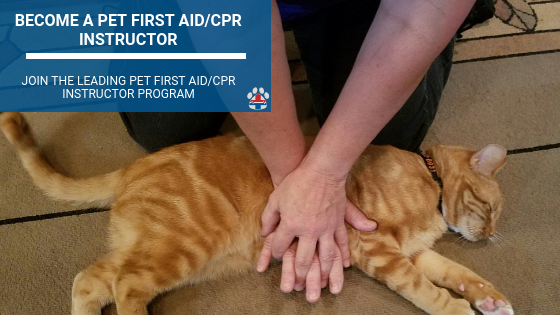 ProPetHero is proud to partner with Master Instructor Arden Moore, a national leader in pet health, safety and behavior to bring you our veterinarian-approved pet first aid & CPR instructor program. 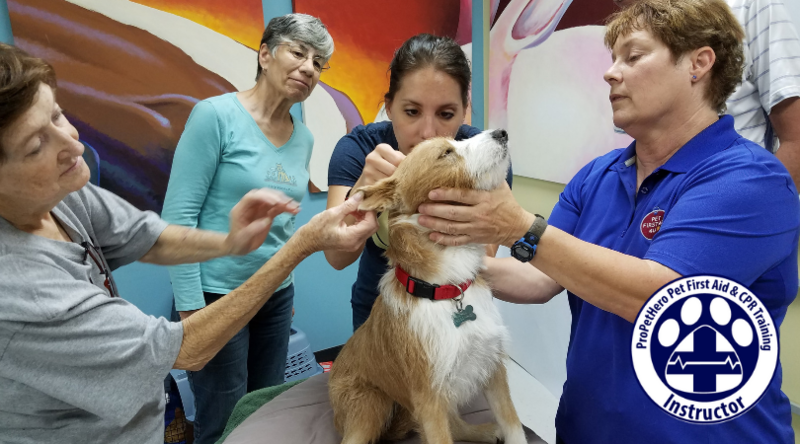 Through online video-based modules and live webinar hands-on demonstrations, instructors will learn the latest protocols in pet first aid as well as tips from leading veterinarians. 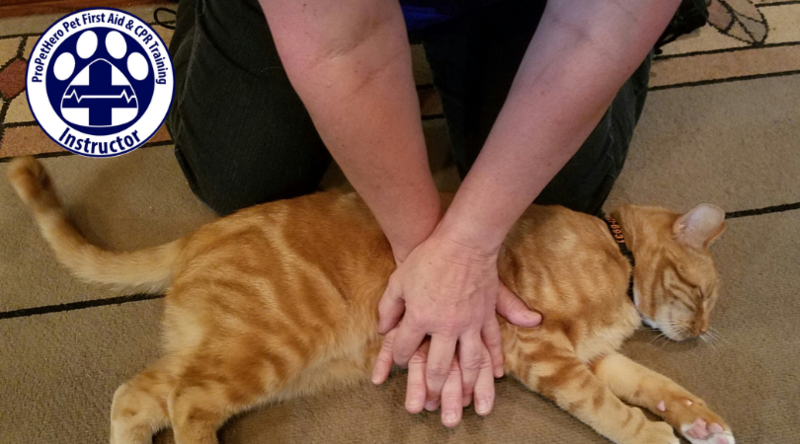 The necessary skills and teaching techniques will be demonstrated so that as an instructor, you can train pet owners and pet care professionals in CPR, rescue breathing and to recognize conditions requiring pet first aid care. The training takes place over two days. Upon completion, you will earn your instructor certificate and will be ready to teach in-person classes. This instructor class is taught via video seminar, so no to need travel! You don’t have to book a hotel room or incur other travel-related expenses. And, yes, you can have your well-mannered dog or cat with you to practice on some of the skills we will be teaching you. You get to learn in the comfort of your home or office. Our comprehensive, veterinarian-approved ProPetHero Pet First Aid & CPR instructor course will train you to teach others how to competently identify and evaluate the signs and symptoms a pet may experience during injury, illness or an emergency. You will learn the appropriate and most effective actions to share with your students on how to provide proper emergency medical care, prior to seeking veterinary treatment. 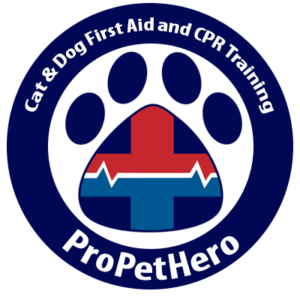 Cara Armour, program manager and blogger for ProPetHero, is also a certified pet first aid/CPR instructor. ProPetHero is part of ProTrainings, an international company that has trained more than 1,000,000 students in human first aid, CPR and other health and safety continuing education courses. Spaces are limited and classes are filling. With only 6 working spots open, you’ll want to make certain you can get in on this leading instructor training. The 2-day course is $997 and includes teaching materials. Once you complete the instructor training program, you will have access to our robust learning management system and could teach a class the very next day. You will be able to generate URLs for easy student registration, create classes, organize student rosters, generate student certificates and receive support from your master instructor plus our full-time team of instructor support staff – all for only $19 per month. You get to set your class prices as we do not charge you a per student/certificate fee. What are you waiting for? Go, go sign up now! Yes we include 6 plush demo dogs along with other teaching material listed on the website. I see that you get 6 plush dogs for training…what about cats? Great question, to keep costs low we did not include cats but do provide a great low-cost resource to acquire them during the course.